Why do muscle gains seem to slow down or even stop? It can be frustrating when your start to notice your muscle gains have slowed - what are the main reasons for this? Not seeing the muscle gains you did previously is normal - an Abu Dhabi female PT explains why. It’s frustrating for many men and women. You have a great training plan in Abu Dhabi which has been created to help you add more lean muscle to your physique and then suddenly the gains stop! Nothing from your side has changed, the way you workout is the same, the hours you spend working out hasn’t changed and your diet is pretty much the same as before. So why are you no long making gains? We asked a personal trainer in Abu Dhabi who is a specialist when it comes to building lean muscle what the top reasons are for not seeing gains. As a professional trainer who provides muscle building workout plans what are the main principles of muscle growth? A good personal training plan requires a period of adjustment. That means that a client will start with a soft workout working on strength, flexibility, mobility and technique. In the next weeks they will increase weights working more on volume and intensity. It Is not only the time spent in a gym in Abu Dhabi but also the quality of the prescribed workouts. Muscle hypertrophy involves an increase in size of skeletal muscle through a growth in size of its component cells (sarcoplasmic hypertrophy and myofibrillar hypertrophy). After an adaptation period a client has to work on a progressive overload, a strategy of progressively increasing resistance or repetitions over successive bouts of exercise in order to maintain a high level of effort, this is one fundamental principle of training strongly associated with muscular hypertrophy. Is this ‘no gains’ temporary or does it require some sort of change to a training plan/diet? Muscle growth (muscolahypertophy) requires a high calorie diet (surplus) especially if someone is of normal weight with a low body fat. Usually people should follow a BULK phase (in winter) and a CUT phase (in spring). The first phase requires an increase in calories better from carbohydrates to get more energy and push more in the weight room. If client is overweight they don’t need to increase calories, only to focus on the progressive overload. This means they will burn extra fat mass and ultimately will build a new lean mass (called body re-composition). Time and effort is key to ensuring any slow down in muscle growth is short lived. If you are looking for a female fitness coach in Abu Dhabi to help you achieve all your health and fitness goals Fabiola is available throughout Abu Dhabi for personal and group fitness coaching. 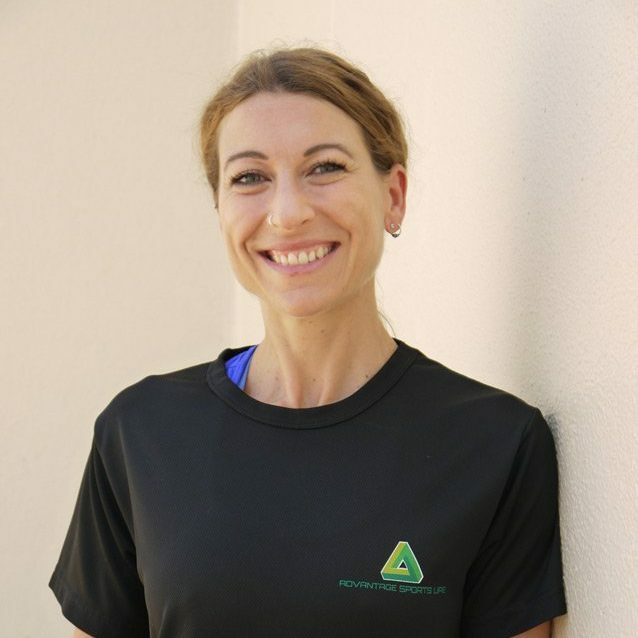 You can view Fabiola’s full Abu Dhabi personal trainer profile by clicking the link below.